Zach Osborne: "Today was a good day for the whole team. It's awesome to leave A1 with Jason [Anderson] holding the red plate and myself 3rd place in the championship. I had good times all day, went out and won my heat race and I feel great. 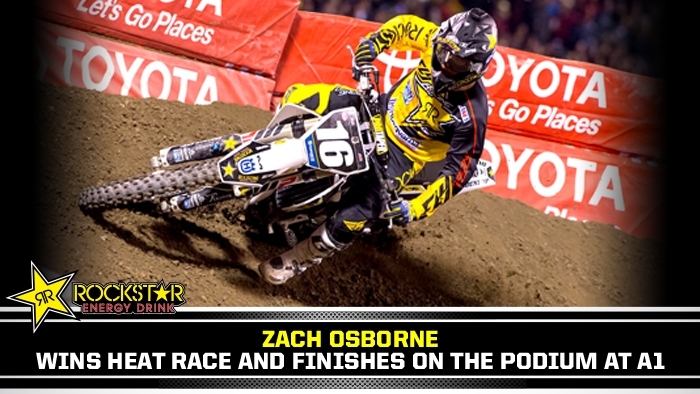 I rode a little conservative in the main event but I still pulled off a podium."